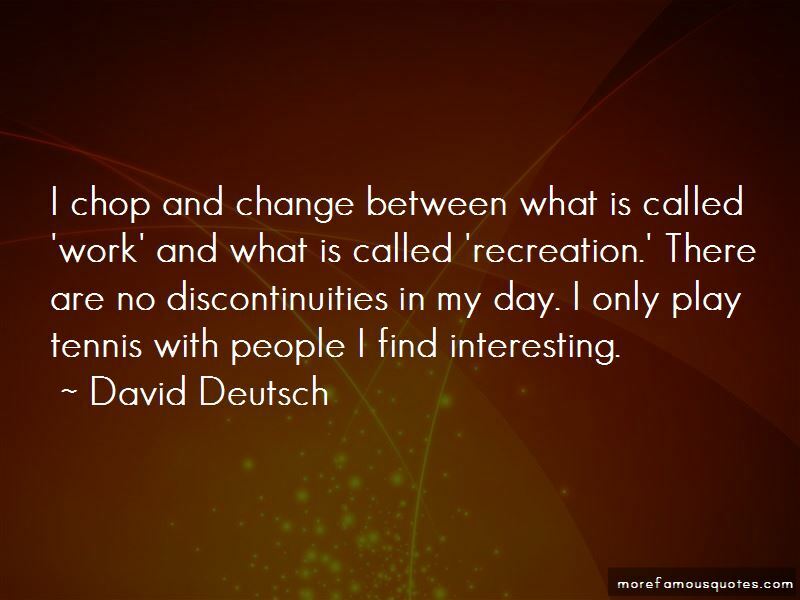 Enjoy the top 27 famous quotes, sayings and quotations by David Deutsch. The quantum theory of parallel universes is not the problem, it is the solution. It is not some troublesome, optional interpretation emerging from arcane theoretical considerations. It is the explanation, the only one that is tenable, of a remarkable and counter-intuitive reality. 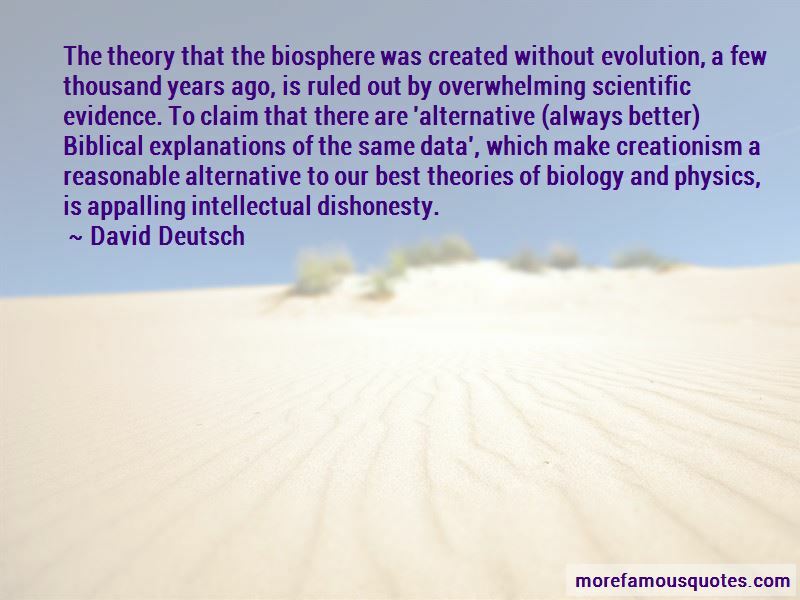 The whole [scientific] process resembles biological evolution. A problem is like an ecological niche, and a theory is like a gene or a species which is being tested for viability in that niche. Like every other destruction of optimism, whether in a whole civilisation or in a single individual, these must have been unspeakable catastrophes for those who had dared to expect progress. But we should feel more than sympathy for those people. We should take it personally. For if any of those earlier experiments in optimism had succeeded, our species would be exploring the stars by now, and you and I would be immortal. 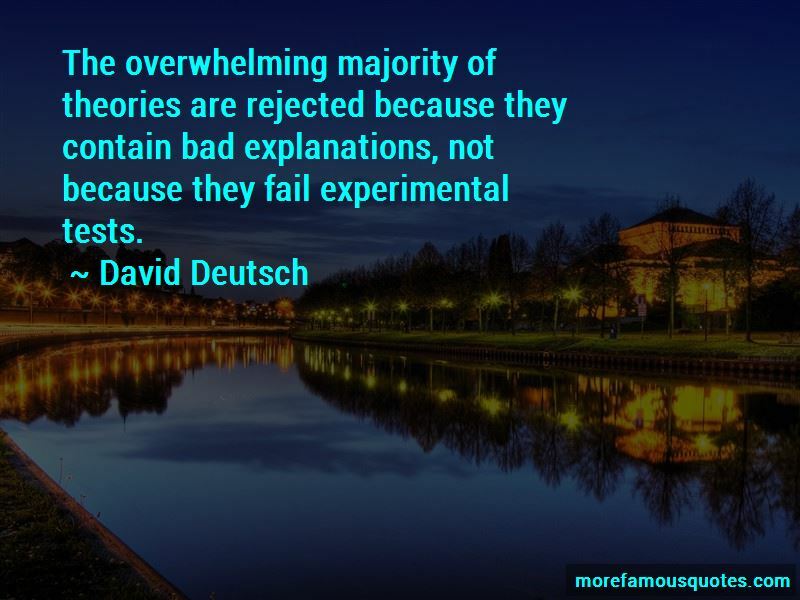 Want to see more pictures of David Deutsch quotes? 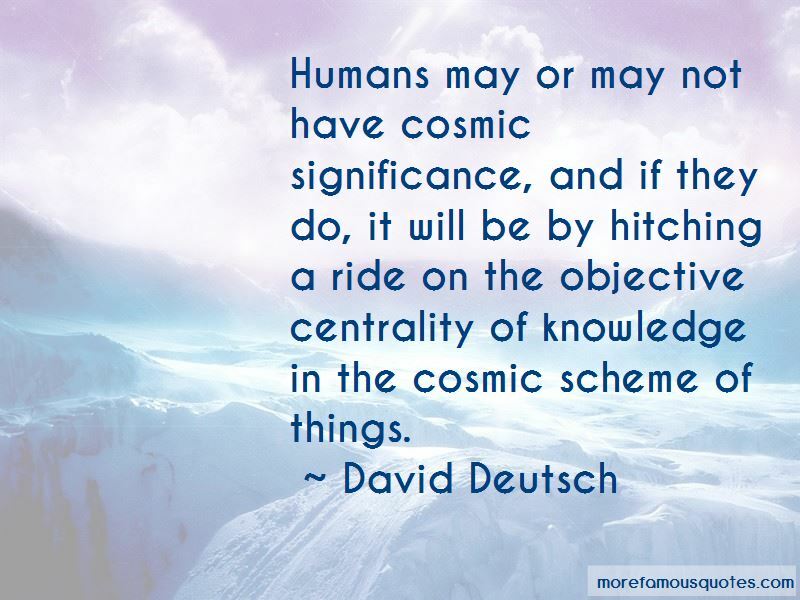 Click on image of David Deutsch quotes to view full size.